[News from the News Center] At 14:00 on April 3, “Hong Tai at Yanshan University” was held in Room 109 of the Student Activity Center, East Campus. 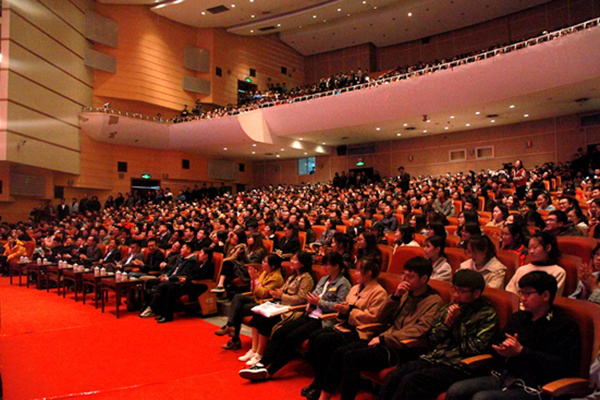 The event was organized by Haigang District Government of Qinhuangdao City, hosted by Yanshan University, relevant leaders and representatives from some outstanding enterprises of Qinhuangdao City, and 1,200 teachers and students attended the conference. Yu Minhong, founder of New Oriental and co-founder of Hongtai Fund, Sheng Xitai, Chairman of Hongtai Capital Holdings, Sun Guosheng, Vice Mayor of Qinhuangdao, Fan Haitao, Director of Haigang District, and Huang Sheng, Vice President of Yanshan University attended the conference. 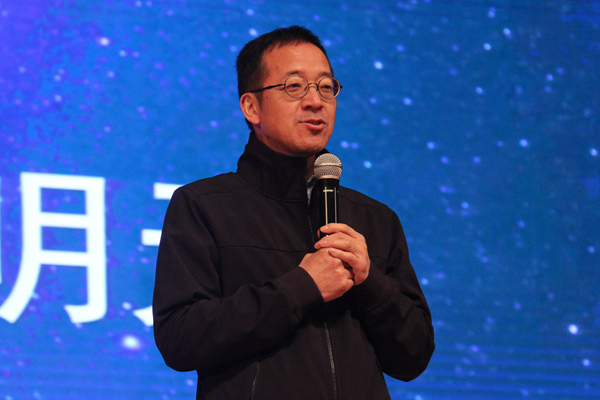 Huang Sheng speaks at the conference. Huang Sheng gave a welcome speech on behalf of YSU. He welcomed the arrival of Yu Minhong and Sheng Xitai, and then introduced the development history and current situation of YSU. At the same time, it is proposed that YSU and Qinhuangdao City are the community of destiny. We are sparing no efforts to solve the problems pinpointed by the Secretary of the Municipal Party Committee Meng Xiangwei. We value the relationships between “University and City”, “University and Government”, “University and Innovation”, and contribute to the development of Qinhuangdao City and YSU. Sheng Xitai speaks at the conference. Sheng Xitai gave a speech on the theme of “The New Pattern of 2019 China's Economic and Capital Market”, and analyzed the four restarts of the Chinese economy and the new global economy, debt and capital in the past 40 years after the reform and opening up. He finally shared some valuable life experiences: developing the global thinking, learning to empathize, cultivating team ability and the awareness of cooperation, keeping learning, and being able to persist. 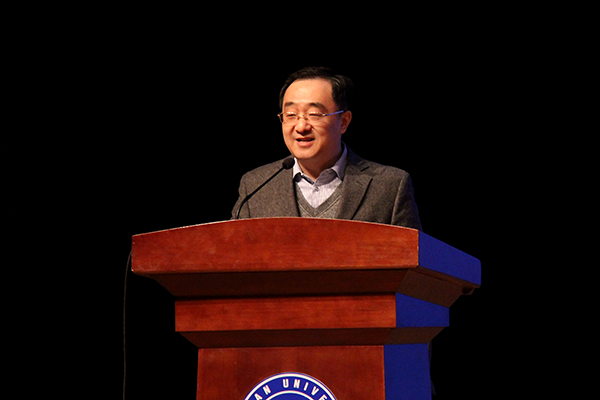 Yu Minhong speaks at the conference. 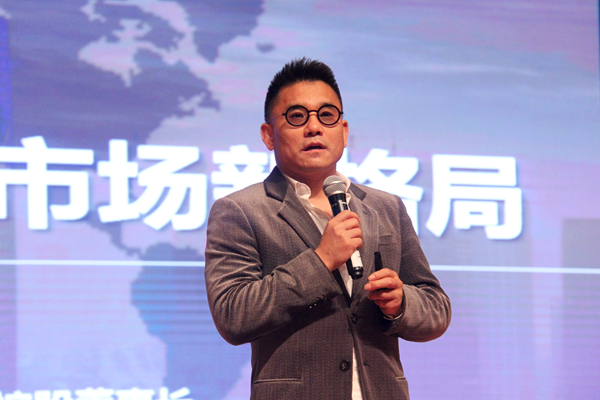 Yu Minhong gave an impromptu speech on the topic of “Struggling today, achieving tomorrow”. He impressed the audience with his own experiences. Whether it is entrepreneurship or learning, success is the natural result of daily progress. Yu Minhong said that every individual or company has a humble beginning. All successes are accumulated by achieving goals. In addition, finding someone who can lead you, inspire you and empower you is also essential to success. Yu Minhong finally suggested that the students should learn to improve themselves by setting goals and achieve them one by one, and never stop reading and learning, finally hard word will be paid off. The audience is moved by the speeches. Sheng Xitai and Yu Minhong’s humorous and passionate language deeply attracted all the teachers and students presented, and there was a round of applause. After the conference, all the students said they had benefited tremendously from the conference. The conference had raised the awareness of self-discipline, time management, and personality management in the students who were determined to improve themselves and contribute to China’s development.